Wind Area Ireland is a launching a site today that it hopes will become a resource for communities, journalists, and policy-makers. CAMPAIGNERS ARE LAUNCHING a new website that they say will empower communities, journalists, and policy-makers to question wind energy policy. Wind Aware Ireland‘s site will be loaded with over 100 reports on wind energy from researches and universities. Labour Senator John Whelan, who has given the group his backing, said it is to act a counterweight to the “wind industry’s well-resourced propaganda machine”. He said that a mix of renewables is needed, such as biomass, without relying on wind energy. The senator called current policy “economically, environmentally, and socially unacceptable”. “Its like if the government said to a television service ‘You put up a satellite, and we guarantee that everyone in Ireland will watch your channels, and to make sure that they will, we are going to buy them all satellites dishes’”. 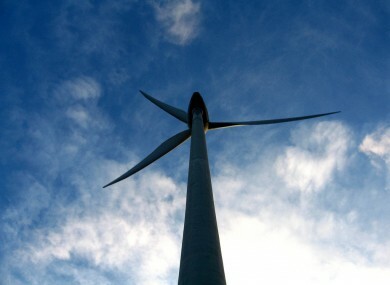 WindAware founder Henry Fingleton said that the claim that wind energy will reduce carbon dioxide has not been proven. “We’re not climate change sceptics. We think carbon dioxide is a huge problem. However, the current policy on wind energy is totally flawed. He said that “renewables that are dispatchable” is what Ireland needs going forward. “If you’ve got biomass, you can turn it on and off as you need it, and the same with hydro. “If you’ve got wind blowing at 3am in the morning, it’s of no use to anyone”. Email “New website holds microscope to "industry-driven" wind energy production in Ireland”. Feedback on “New website holds microscope to "industry-driven" wind energy production in Ireland”.